There is a clearly articulated need in various regions to organize and share diverse water and environment related data sets provided by citizens, local organizations, international organizations, projects and governments. Globally, the lack of data availability has been mentioned by many experts as the primary reason for the lack of understanding of many environmental challenges. Spatial data infrastructures (SDI) enable sharing of geographic data and metadata in an efficient and flexible way. Through online tools and open standards, users are able to find and re-use existing data sets. Data from Citizen Observatories can also be shared through SDI’s. For this reason, IHE Delft and Upande have been establishing SDI’s since 2014 to improve sharing of data in river basins and regions. In the frame of the MaMaSe Sustainable Water Initiative an SDI for the Mara River Basin was established (http://maps.mamase.org). 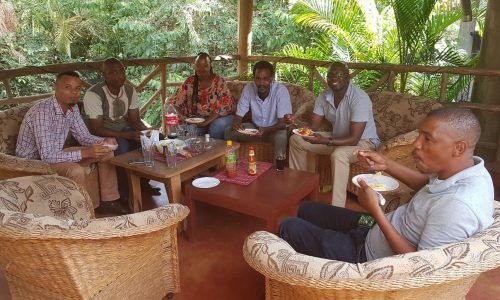 After the MaMaSe programme this SDI became part of the Maasai Mara Citizen Observatory platform (http://mara.info.ke), established in the frame of the EU Horizon 2020 Ground Truth 2.0 project. At the same time the National Water Information System (Système National d’Information sur l’Eau, SNIEAU) was developed for the water sector of Benin (http://benin.snieau.org). After several co-design workshops with stakeholders in the water sector, the system was launched in 2015. This SDI is administered by the National Water Institute (Institut National de l’Eau, INE) and the Directorate General for Water (DGEau) of Benin. In 2017 several projects in Mozambique showed their interest in an SDI. In that year the Mozam-Agua SDI (http://mozam-agua.net) was established. Currently a new SDI is established for Zambia, which will be part of the Niti Luli Citizen Observatory, also established in the frame of the Ground Truth 2.0 project. 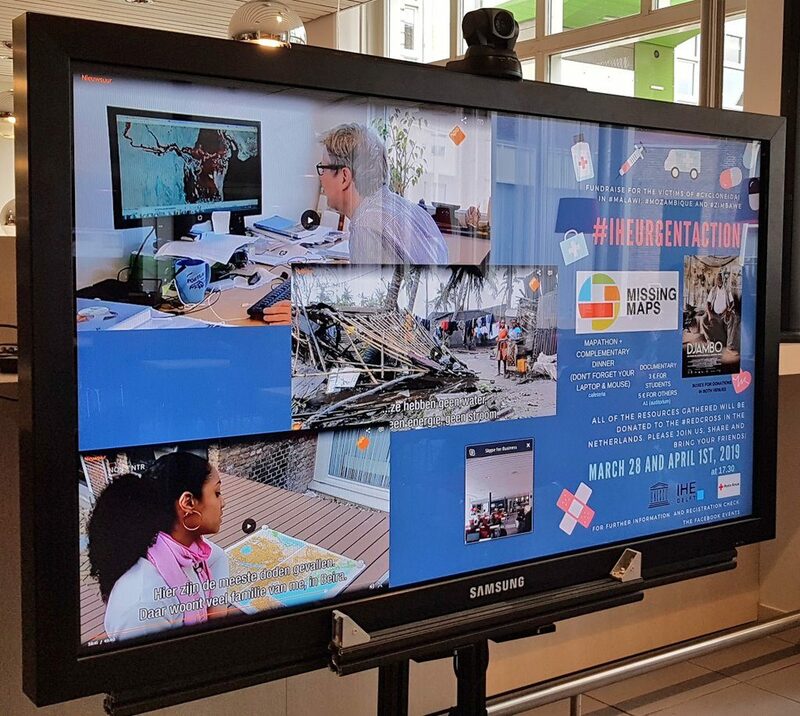 These SDI’s are co-funded by the DUPC2 programme, which is the strategic cooperation between the Dutch Ministry of Foreign Affairs and IHE Delft. Installing SDI software is not enough to enable an open environment for data sharing. An SDI also needs agreements on standards, institutional agreements and policies. This requires stakeholder workshops and capacity development. 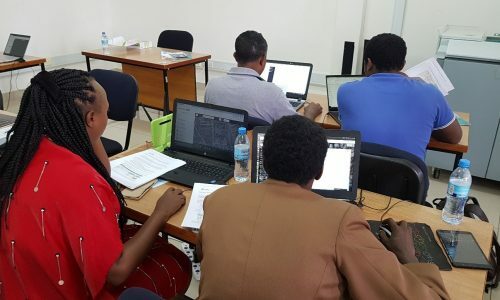 On March 13 2019 IHE Delft and Upande brought together users of the different SDI’s to form a community of practice during a workshop at the Open Water Network event at the Nelson Mandela Institute for Science and Technology in Arusha, Tanzania. The objective of the workshop was to exchange experiences on SDI among users and developers, to discuss challenges and to propose solutions for those challenges. From Kenya Dr. Samson Mabwoga (Lecturer at Maasai Mara University) and Anne Nairuko (Environmental Officer from the Ministry of Water), both involved in the Maasai Mara Citizen Observatory, participated in the workshop. From Benin Dr. Djaouga Mama, lecturer from the National Water Institute, participated. From Mozambique there were two participants from the Eduardo Mondane University: Danilo Alane (student) and Leovigildo Cumbe (hydraulic lab technician). Kevin Ngeno from Upande was present for technical support. The workshop started with a lecture by Dr. Hans van der Kwast from IHE Delft on the concepts of SDI and principles for Open Data. The benefits of SDI and Open Data were explained and linked to the data value chain. Special attention was given to the use of open standards, open source software and the importance of metadata. During the lecture a Kahoot was used for interaction with the participants. A similar lecture can be watched online (http://www.thewaterchannel.tv/webinars/501-webinar-open-source-software-and-open-data-for-integrated-water-resources-management). 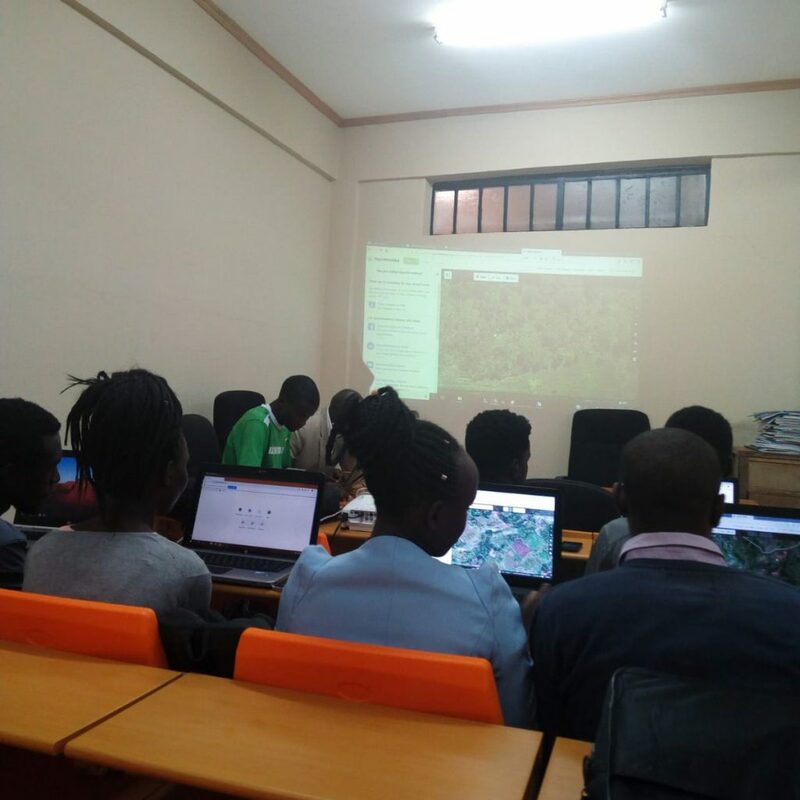 After the lunch break the workshop continued with a mini mapathon. The aim was to generate data for the SDI’s in OpenStreetMap. 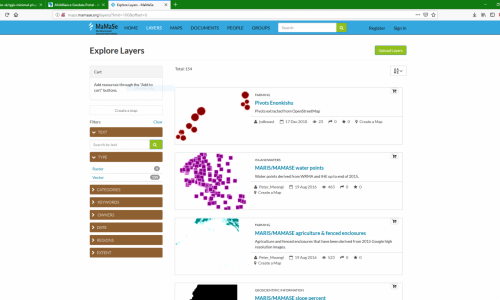 After the mini mapathon, the participants learned how to extract thematic layers (e.g. rivers, buildings, lakes) from OpenStreetMap in QGIS using the QuickOSM plugin that uses the Overpass API. Finally, the participants were asked to upload some thematic layers to the SDI and include the relevant metadata. During the workshop the participants exchanged their experience with SDI and discussed the challenges and solutions to those challenges. Most important were the challenges related to the administration of the SDI. 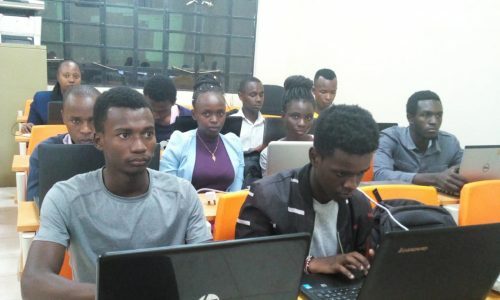 For the Mara Geoportal it was proposed to have an administrator at Maasai Mara University to approve the registrations, with Upande as a backup if the response time is too low. If Upande approves a registration, this can always be reviewed by the administrator from Maasai Mara University and revoked if necessary. For SNIEAU in Benin it was proposed to have a more junior administrator. Also here Upande is a backup if the response time is too low. For Mozam-Agua it was proposed to train the two participants from the Eduardo Mondane University. The participants also expressed their needs in capacity development. For the Mara Geoportal there is a need for training staff and students of Maasai Mara University, training of experts at Narok County, WRMA, KWS and MMWCA. The format of a mapathon combined with a training was suggested, based on the nice experience of this workshop. There’s also an interest in more capacity development around the data value chain. For SNIEAU there was the proposition to discuss to put SDI back on the agenda on Omidelta to have workshops with stakeholders and more involvement of young people. Until now, the OmiDelta programme has not prioritized activities around SNIEAU. For Mozam-Agua there is more training needed for the stakeholders, because the SDI has just been established. Challenges such as internet connectivity were also acknowledged. The participants indicated that it would be good to have a yearly event to bring together the community of practice and exchange experiences with SDI. They also indicated that more outreach on social media is needed. Furthermore they expressed an interest in apps and services connected to SDI. It was also concluded that for the sustainability of the SDI’s it is important to show the benefits and create local ownership with the stakeholders. A Whatsapp group was established for further exchange of experiences within the community of practice beyond the workshop. The Whatsapp group is actively used. It was great to see the solidarity in the group when Mozambique was hit by the cyclone Idai. 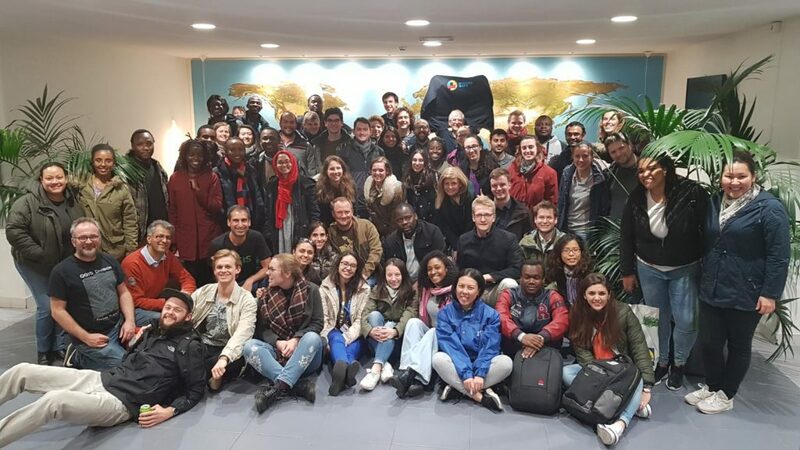 When IHE Delft organised a mapathon on March 28 to map and raise funds for the Red Cross, all participants joined the mapathon online. At Maasai Mara University Dr. Mabwoga joined with his students. Together from Kenya, Mozambique, Benin and the Netherlands we made a great contribution to OpenStreetMap data for humanitarian operations in Mozambique.